All abstracts will be reviewed and applicants notified of their acceptance by the end of February 2019. On-line registration is closed. You may register in person at the Symposium. Limited seating. A bloc of rooms has been reserved at The Inn at Longwood Medical at a nightly rate of $199 plus tax (currently 14.45%) for either a single or double room. Hotel reservations can be made by phone at 1.800.468.2378 or 617.731.4700, or online at www.innatlongwood.com. To receive the discounted rate use group code NESS2019. The group rate is only available until March 14, 2019. You may want to consider seeking assistance from your institution for hotel and travel expenses, if necessary. Awards for outstanding oral and poster presentations in various disciplines and categories are: Ruth and William Silen, M.D. 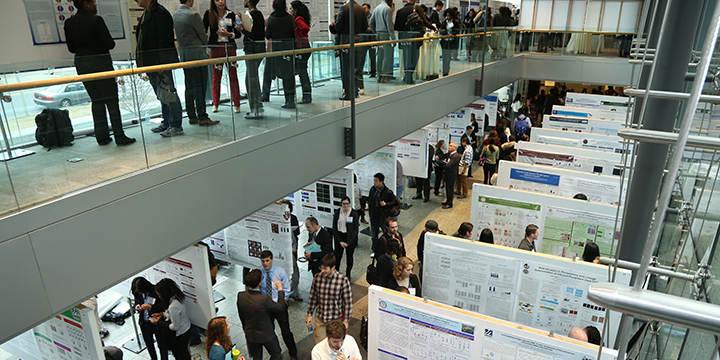 Awards, Dana-Farber/Harvard Cancer Center Awards, Vertex Postdoctoral Awards, CloudHealth Genomics Translational Research Award, Beth Israel Deaconess Medical Center Department of Neonatology Award, Stem Cell and Regenerative Medicine Award, and American Cancer Society Awards. For description of the awards and list of award winners, please click here. BSCP was founded in 1991 by MFDP in collaboration with the Massachusetts Medical Society and the New England Board of Higher Education to identify, inform, support and provide mentoring for academically outstanding minority students and fellows ranging from high school to postdoctoral level. Vertex is a global biotechnology company that invests in scientific innovation to create transformative medicines for people with serious and life-threatening diseases. They discovered and developed the first medicines to treat the underlying cause of cystic fibrosis (CF), a rare, life-threatening genetic disease. In addition to clinical development programs in CF, Vertex has more than a dozen ongoing research programs focused on the underlying mechanisms of other serious diseases.